It has been a good year for Rajesh Yabaji, the 30-year old founder of online logistics marketplace BlackBuck. From being the subject of a case study by the Harvard Business School to a fresh round of funding in October, BlackBuck’s prolific journey has become a new age success story of the Indian startup scene. Started as a intercity logistics company, BlackBuck has come a long way in three short years, working with over 250,000 trucks all over India and bringing cutting-edge technology to a traditionally low-tech sector, one which Yabaji himself modestly calls a “dhool-mitti” (grassroots) industry. India’s logistics market is expected to reach about $215 Bn in 2020 led by the ever-expanding Indian economy and especially the burgeoning ecommerce industry. Despite the increase in demand for their services, according to a research report, the logistics sector in India remains mired in several complexities which have the potential of holding it back. These include significant inefficiencies in transportation, poor condition of storage infrastructure, low rate of technology adoption, and poor skills of logistics professionals. Within this unforgiving sector, tales of BlackBuck’s success have reached the doors of Harvard Business School (HBS), where the Bengaluru-based startup has become a case study that is currently being taught to students in the August 2018 semester, at HBS and will eventually be made available for teaching purposes within and outside Harvard. 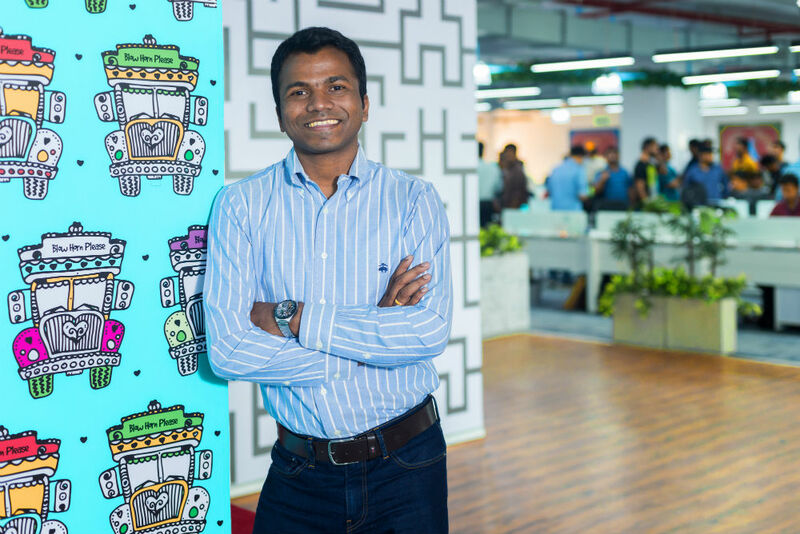 Inc42 caught up with Yabaji and spoke to him about what it means to create a company that has established its presence in such a short time and what role logistics is playing in the growth of the Indian startup ecosystem. Yabaji is also slated to speak at the Inc42 Ecosystem Summit being held this week in Delhi on the 16th. Inc42: How do you feel looking back at your college years and now knowing that something you started and scaled is now going to be taught at Harvard? Rajesh Yabaji : It’s a big vote of confidence and extremely humbling to know that the BlackBuck story will be taught to and examined by some of the brightest business students in the world at Harvard. When I graduated from college eight years ago, the idea of doing an MBA at Harvard would have been a dream come true. Although I did not go down that path, it’s quite surreal that Harvard is studying a company I helped build. This is an amazing outcome for BlackBuck, but even beyond BlackBuck, it really speaks to the potential of the tech startup industry in India, that an Indian startup that was founded just 3 years back and focuses on a “dhool-mitthi” (grassroots) industry like trucking logistics is the subject of such a study. Inc42: Could you tell me about how you felt and how did the case study opportunity materialize, how long was it in the making? Rajesh Yabaji:The study had been over a year in the making. The opportunity materialized very organically. I met Shikhar Ghosh, who is the professor of Management Practice in the Entrepreneurial Management Unit at HBS. Ghosh was very interested in learning more about BlackBuck and visited our office to speak with us and witness BlackBuck in action first-hand. Inc42: Do you feel an increased sense of responsibility as the case study will also cover the future journey of the company? Rajesh Yabaji: We have a fantastic team that’s recently crossed 1,300+ BlackBuckers. We’re constantly striving to better our product and expand our scale and lines of business and are very committed to economy-building at a grassroots level. I’m confident that the next leg in our journey will be even more amazing. Inc42: You essentially help many clients with supply management logistics in a way, any plans to expand your offerings to include a more end-to-end and more holistic approach? Rajesh Yabaji: BlackBuck has always followed an ecosystem approach. Although our business began with the goal of connecting shippers and fleet operators, we’ve since expanded to multiple lines of business and innovation to serve different stakeholders in the ecosystem. The problems in the trucking industry are not just business related, but systemic. We have brought cutting-edge technology to a “non-tech” sector and changed market behavior by bringing transparency and trust to a previously opaque market where transactions were clouded in mystery and driven by personal relationships. In addition to our 1000+ locations, BlackBuck’s network also reaches and impacts 2000+ villages in India. Inc42: How have higher fuel prices affected your operations and what insights can you offer when it comes to the last few months operating in this high fuel price environment? Rajesh Yabaji: Although the fuel price would lead to fleet owner costs increasing, and with a time lag the costs for shipper increasing, overall, logistics being a core need, industry demand for logistics is highly inelastic. It hasn’t impacted our marketplace as we connect shippers and fleet owners. We also work to bring fleet owner costs down through our services marketplace, with discounts on fuel, tyres and other necessities. Inc42: Can you break down your clients for us, what type of industry and vertical are you experiencing traction from? Rajesh Yabaji: BlackBuck moves a wide variety of goods pan-India, with a strong emphasis on agri goods (like rice and wheat), coal, oil, metals, chemicals, and Fast Moving Consumer Goods (FMCG). Our Freight Platform connects the two main players in BlackBuck’s trucking marketplace— the shipper (corporates and SMEs transporting the goods) and the fleet operator (who transports the goods and maybe a large, medium or small FO or even an owner-driver). We work with 10,000+ shippers and 250,000+ trucks and use sophisticated machine learning and artificial intelligence algorithms to track freight logistics data across India, and provide the best match-making (matching shipper and FO) at the best prices. We have launched a first-of-its-kind digital transportation suite, which was launched by BlackBuck to help shippers manage end-to-end transportation with a click. Inc42: What sectors are you looking to expand to? Rajesh Yabaji: We are currently expanding into the areas of financial services to promote financial inclusion within the ecosystem. Several stakeholders within the Indian trucking ecosystem fall within the unorganised sector. They are relatively new to both technology and banking, and are often left out by mainstream organised financial systems (eg- access to loans, insurance). We’re working to change that and make trucking digital, cashless, hassle-free, and traceable through electronic documentation. Inc42: What role do you feel the Indian logistics sector is going play in the Indian startup ecosystem growth story? Rajesh Yabaji: Logistics will play a key role in not just the Indian startup ecosystem, but the Indian economy as a whole. India’s logistics sector is presently growing at about 15% and trucking is a major component of this. India has +7 Mn running trucks, +2 Mn fleet owners, +100,000 brokers, and sub-brokers and +20,000 transporters and growing! Inc42: How do you maintain and improve upon your differentiation? Rajesh Yabaji: I’d say our two biggest differentiators are that we are asset-light and that we take an ecosystem approach. It is our mission to make trucking simple, intuitive and efficient through cutting-edge technology. Economy-building at a grassroots-level and improving financial and technological inclusion for underserved populations is core to that vision. Rajesh Yabaji: The Indian startup ecosystem has grown immensely since we started in 2015, and the growth in the next 5 years will only be exponential. We’ll see a lot of tech companies solving global problems as well as niche, local problems, and I hope we see more startups catering to underserved populations. 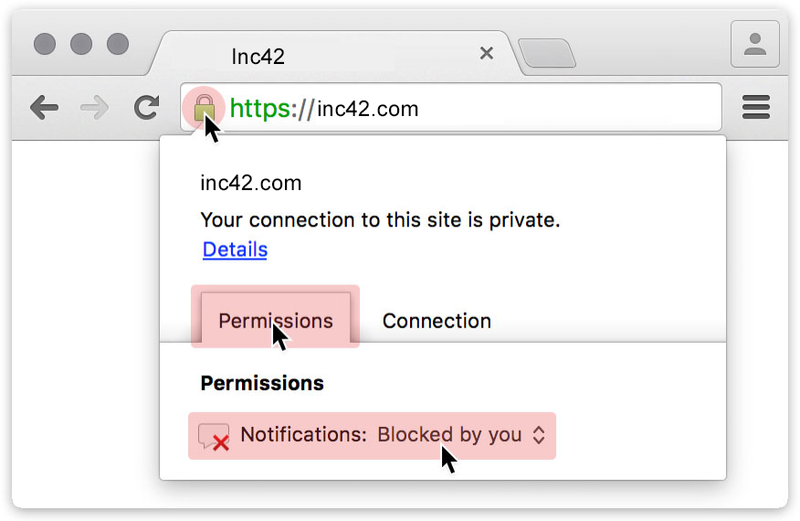 Inc42: Any plans on using blockchain? Rajesh Yabaji: Blockchain will have its first wide use cases from logistics. Logistics has the largest number of handovers, and authentication of these handovers results in a huge amount of noise. Blockchain use cases are already being discussed in logistics and we are right now pioneering implementation of a few. The real impact would be seen in a few years from now when they gain scale. Inc42: Do you feel the efficiencies you create can lead to redundancies for other workers currently in the logistics space down the road? Rajesh Yabaji: What India needs right now is huge infrastructure support to grow. Trucking is the core infrastructure for the country. This industry has been growing at 2X the GDP rate over the last 10 years. Any amount of efficiencies we create, the redundant capacities are not enough for the country’s growth. And the outlook of growth for India has been always over delivered. Good times for India! Good times for everyone!